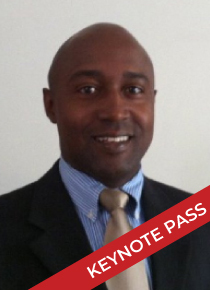 Ricardo Johnson, Sr. Director of Security, Risk and Compliance for CrowdStrike Inc., has more than 18 years of experience in the fields of privacy, information security and risk. Previously, he served as the Director of Global Compliance for Ryder, where some of his responsibilities included overseeing privacy and security compliance for the company’s inaugural BYOD, mobile marketing, social media and cloud migration programs, along with other regulatory mandates such as export controls and Anti-bribery and PCI. Prior to Ryder, Ricardo served as the Chief Privacy & IT Compliance Officer for Burger King Corporation. Ricardo has also been a guest speaker on privacy, security and risk topics at the Visa PCI Symposium, WorldCompliance Summit, IAPP, Cloud Security Alliance (CSA), Institute of Internal Auditors (IIA) and Compliance Elliance.